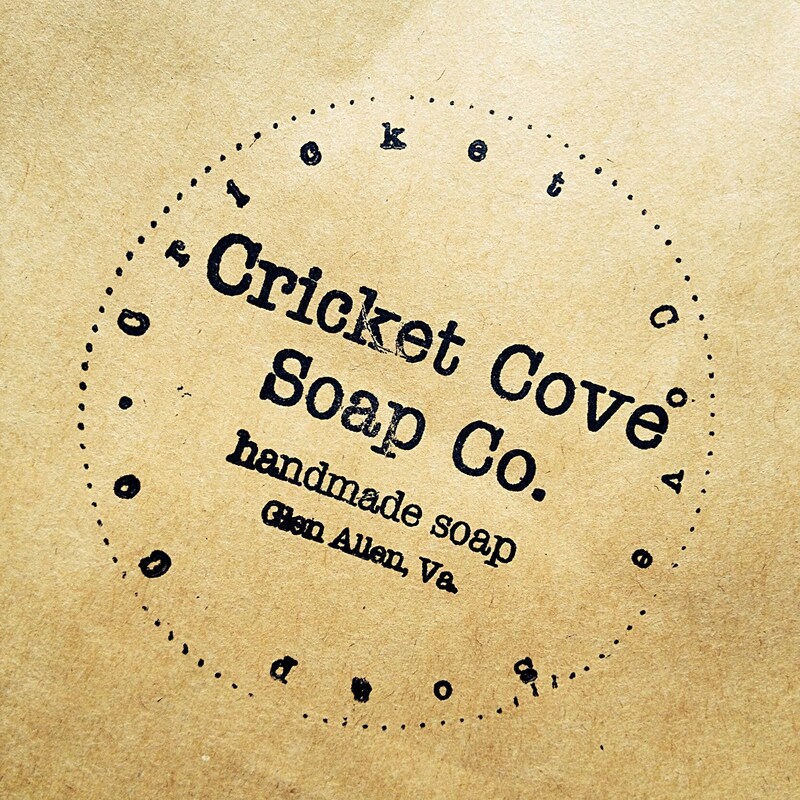 Cricket Cove Soap Co.'s handmade all natural lotion bars beautifully hydrate and nourish even the most dry, chapped hands. 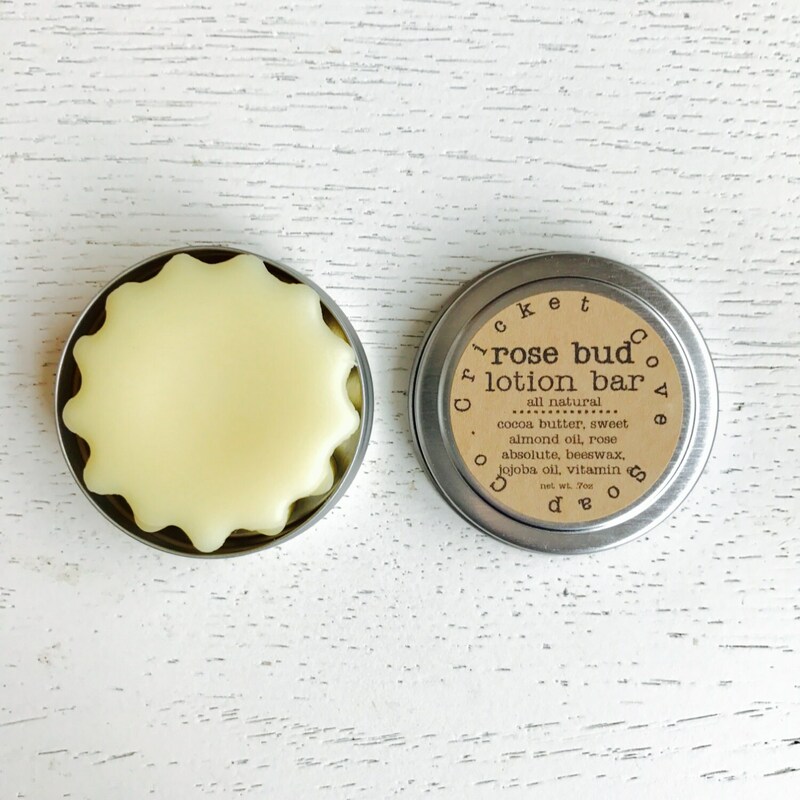 Simply hold the lotion bar in your hands and allow the bar to soften. 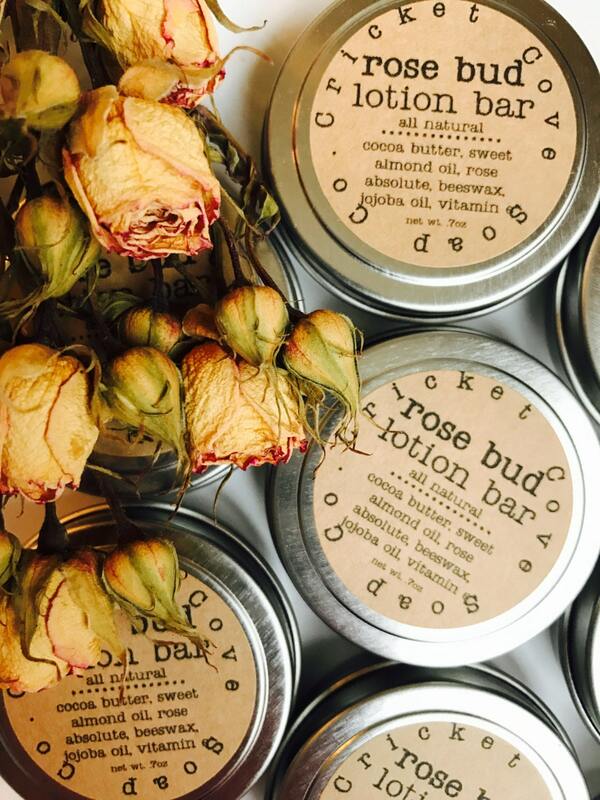 Gently massage the bar on hands, heals, legs, elbows, anywhere moisture is needed. Use gently to keep bar in its original shape or mold like clay for your personal shape preference. 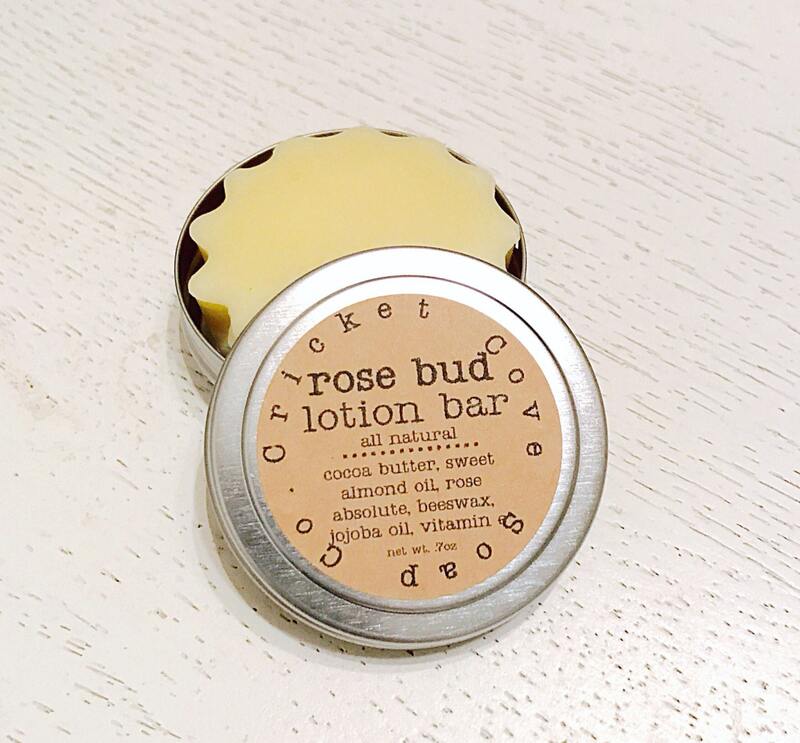 Allow all of the skin loving benefits of cocoa butter and sweet almond oil absorb into desired areas. Place bar back into tin and store in a cool place. The moisture and healing benefits will last through hand washings. Light rose scent. .7oz bar stored in a 1oz. 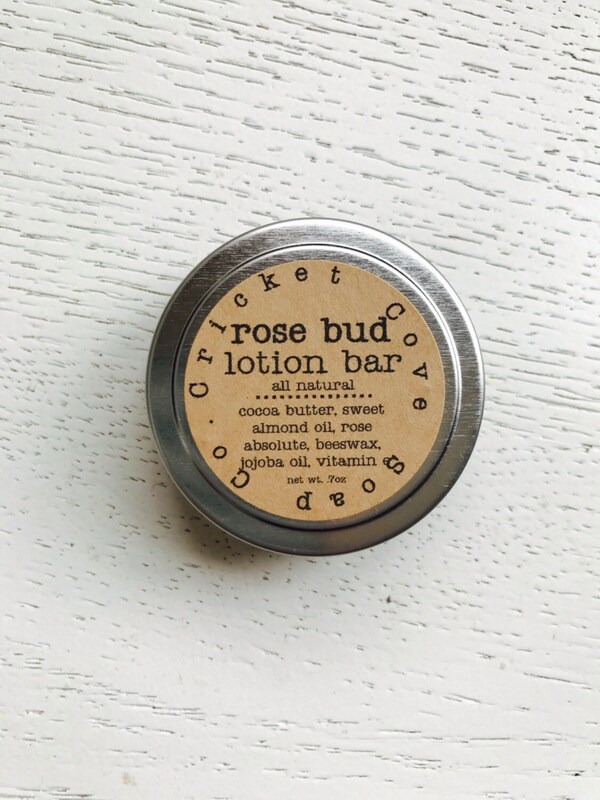 reusable tin - Great size for purse or travel! During the warmer months, this bar may melt during delivery. Place in a cool location to harden again. Melting does not affect ingredients.